In his book "What is Cinema?" film theorist André Bazin stated: "But realism in art can only be achieved in one way - through artifice. Every form of aesthetic must necessarily choose between what is worth preserving and what should be discarded, and what should not even be considered." Realism in cinema is therefore determined by an audio-visual language that differs from real life. Any compression or fragmentations of events are a result of the limitations of the time, space and technique of the screen. A filmmaker is responsible for selecting these techniques within the frame of the narrative. 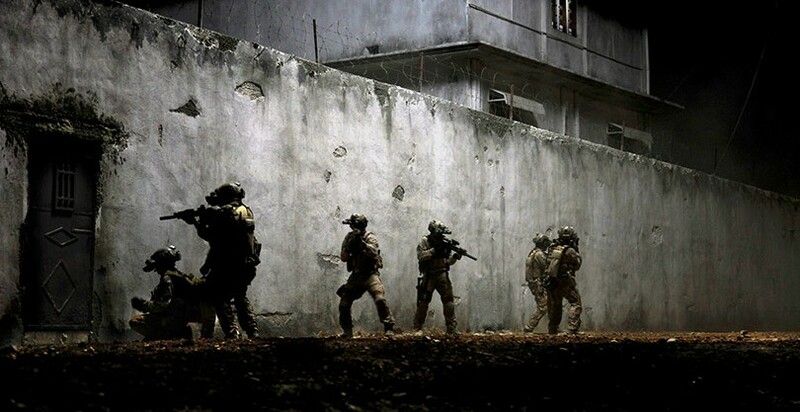 Looking to cinematise the lead up and execution of Operation Neptune Spear, the hunt and assassination of Osama Bin Laden, Kathryn Bigelow and journalist turned screenwriter Mark Boal compress facts and timelines and omit significant figures from this decade-long search. However, the film moves through a decade long period with such ease that the realism is never compromised. It sidesteps Hollywood clichés and sentimentality as comfortably as few others have done before it. Boal's script is clear of tragic back stories, its character development is quietly stated and its moral compass, if there is one, lingers under the film's surface. The film has been described as being in the tradition of "New Journalism": a method of journalism that adds subjectivity rather than an objective perspective to the facts. It is an appropriate means of describing the film because even as it condenses multiple real world terrorist attacks over the years, from 9/11 to a bombing in London, the impact is still extremely shattering to the audience and its characters. 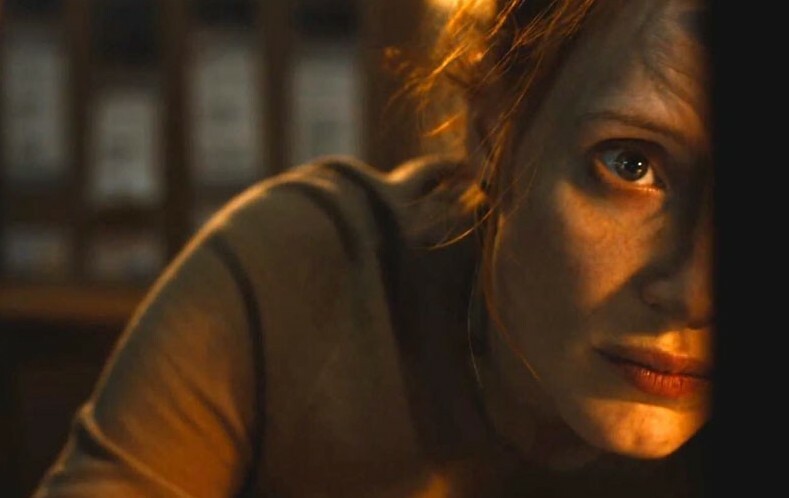 The attacks grow increasingly personal to the film's lead subject Maya (Jessica Chastain at her most intense and emotive), a CIA operative who spends over a decade looking for clues on the whereabouts of Bin Laden. 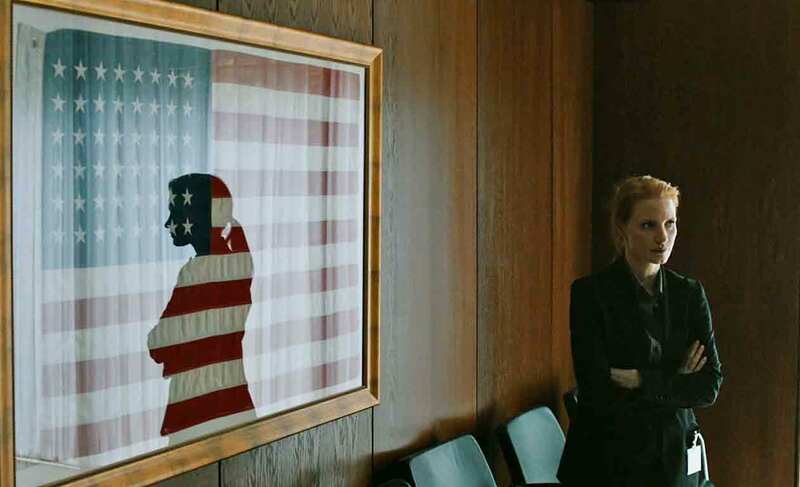 Contributing to the film's authenticity, Zero Dark Thirty makes fewer concessions than Bigelow's previous film The Hurt Locker (2009), which to avoid any political waves, was purposely coy on its subject of Post Traumatic Stress Disorder. This uncompromising nature is immediate from early scenes where torture is used to extract information from a prisoner. Both Democrats and Republicans alike have been publicly critical of the film, deeming the use of enhanced torture techniques to track Bin Laden is inaccurate and that the film praises torture an effective means of investigation. This is a misjudgement and hypocritical given the extensive amount of research assistance by the CIA, the Department of Defense and the White House, who provided extensive interviews and documents about the operation. The interrogation scenes are, as they should be, ugly and difficult to watch. A man is strung up by his wrists, punched, stripped down and shoved into a box. His answers are varied, unclear and unhelpful. We see the stress that these moments place on the interrogator (played by Jason Clarke). It is difficult work and impractical compared to other advanced techniques, like aerial surveillance. An important subtextual development is how these techniques are gradually being phased out, which is true given the closure of the black list sites and the outlaw of enhanced torture techniques. If the film does have a message my interpretation is that it is, in many ways, a film about how vacant revenge and obsession can be. Maya's entrance to the film is through one of these horrific interrogations, which she is not mentally prepared to engage. A deep focus shot of the room frames Maya in the background. The shot shows her isolated from the action, true to her inexperience, and her face conveys great discomfort in watching the interrogation unfold. She arrives in a dark suit, unideal for waterboarding prisoners, and when asked to participate she is clumsy in handling the situation. Yet her inexperience also provides compelling movement in Boal's screenplay. As the terrorist attacks mount over the years and the deaths become more personal, Maya's viridity is dissolved and replaced with increasingly determined anger. This change is also complimented by through the costumes, as Maya's clothes become more combat-like, and her dialogue which grows more sadistic: "I'm going to smoke everyone involved in this op and then I'm going to kill Bin Laden". These fascist undertones, also echoed by Mark Strong as the head of Counter Terrorism at the CIA, are dispelled by how tactful much of the film is, particularly the meticulous and intense raid on the compound. Like The Hurt Locker, the film isn't politically right or left. Once the breathless mission is over and the objective is 'won' the film obtains a brief but powerful feeling of melancholy. There are no 'hooahs' or flag waving. Maya's tears are not ones of joy or relief but unfulfillment. In a single close-up shot, her face reflects the hollow aftermath of conquering our enemies, and I think, the ambiguity around the next chapter of global terrorism. 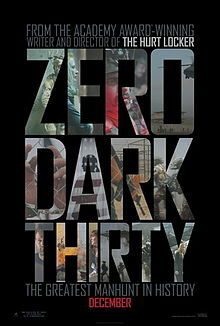 'Zero Dark Thirty' itself is a military phrase, referring to the early dawn, once darkness has passed. What follows from this moment? It is an unexpected and brave question to end this long but supremely crafted docudrama.